A display honoring a woman killed by a Minneapolis cop was removed by police when authorities discovered that a white supremacist organization had created the tribute and placed it outside the city’s police headquarters. Damond was shot by Mohamed Noor, an MPD officer from Minnesota’s large Somali community, after she called 911 to report a possible sexual assault. Noor said that he was startled by a loud noise as Damond approached the driver side door, where his partner, Matthew Harrity, was sitting. 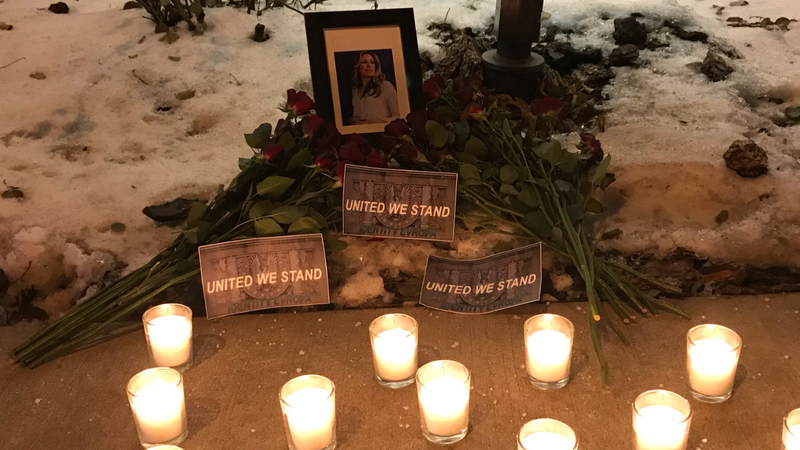 Identity Evropa, a growing group of white nationalists dedicated to making America white again, took credit for the memorial, which included candles, cards reading “United We Stand” and a framed photo of Damond. The group, known for its white supremacist ideology and its love for tiki torches, is one of the fastest-growing “alt-right” “fraternal organizations” in America. Fashioning itself as a mix between the Nazi Youth and a kinder, gentler Ku Klux Klan for millennials, Identity Evropa spent 2017 recruiting the best and brightest racists to stop the heinous trend of white oppression. Critics have derided the MPD’s investigation of the shooting and the city’s failure to bring charges against Noor. Curiously, Identity Evropa and other groups are unwilling to accept the same arguments used by police officers across the country who have walked away from killing citizens with little to no jail time. Outside the police station in the Minneapolis suburb of Castle, Philando Castile was still dead.